Port Arthur is a place full of contradictions. At first glimpse, it gives the impression of an English stately home set in rolling hills and lush gardens beside an idyllic harbour. In reality, it was one of Britain’s most fearsome penal colonies that enslaved, brutalised and killed convicts during the 19th Century. It was a place of terror, as intended by its founder, Lieutenant-Governor George Arthur – a place of hard labour, harsh punishment for infringements, and unremitting surveillance. The slave labour of the convicts was used to build not only the infrastructure of Port Arthur, but also to create a manufacturing complex for the new colony. At the same time, Port Arthur was the place where innovative penal practices were pioneered based on the principles of the renown prison reformer Jeremy Bentham. 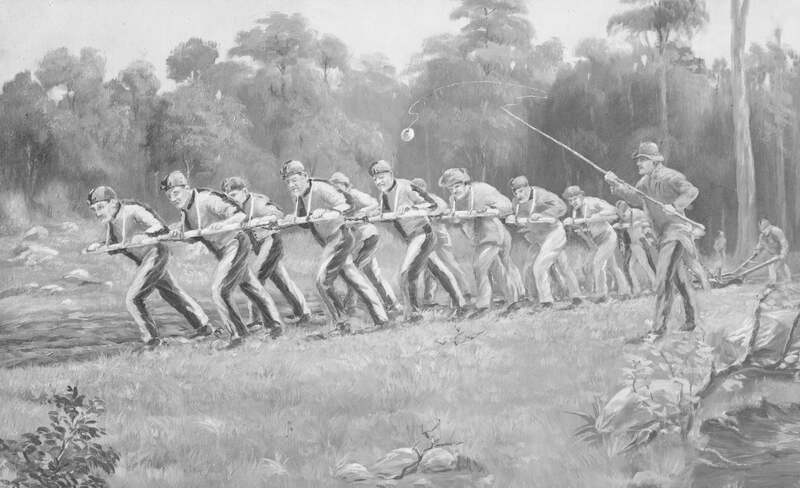 These included efforts to rehabilitate convicts through teaching them trades or farming. Port Arthur was meant to deal with the most hardened recidivist convicts, those that other prisons could not subdue. But boys as young as 9 were also sent there. You can tour Point Puer island where the first juvenile prison in the British Empire was established. Young boys were kept separate from the adult male prison on the peninsula. These boys received some education, were taught trades, but were still made to labour. 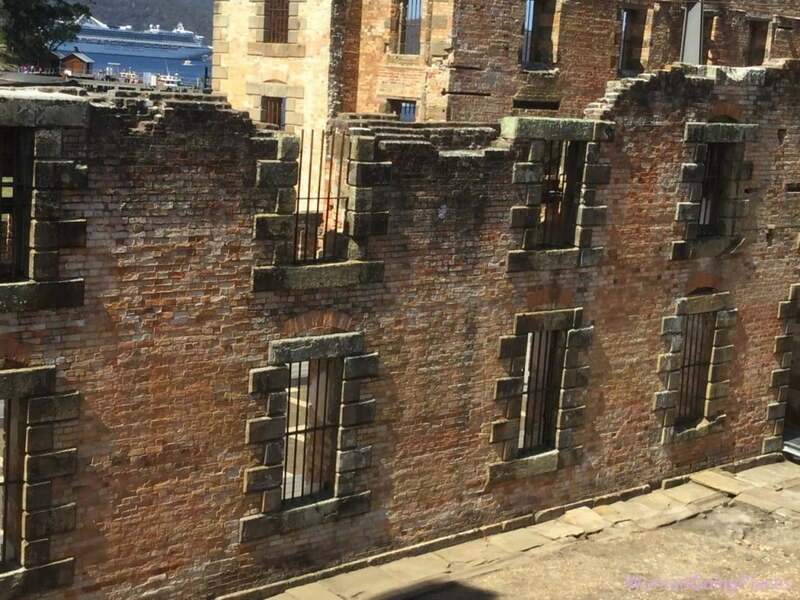 When it was established in 1830, Port Arthur was intended to be escape-proof. Situated in a place of utter isolation on the Tasman Peninsula, far south of the main settlement in Hobart, Port Arthur was connected to the mainland by a mere strip of land less than 50 metres wide. A line of dogs, crazed by hunger, stalked the only escape route over land. The area was also completely surrounded by water. Few convicts knew how to swim, and they were also told that the waters were shark-infested. And yet some managed to escape. Once the most inaccessible place in Australia, it is now the place most visited by tourists to Tasmania. Port Arthur was a prison where new forms of punishment were practised. In addition to the usual range of physical punishments such as whippings and starvation, a range of psychological punishments were introduced. As you enter the church, you are amazed at the beauty of its curved wooden pews and the white walls. Until it is pointed out that the pews were designed so that a convict praying could not see anyone else or be seen. Prison pews. They were to be tormented even as they were supposed to be spiritually uplifted. There was a regime of sensory deprivation called the ‘ Silent Treatment’. A hood was placed over prisoners’ heads and they were forbidden to utter a word. The floors and walls were padded to stifle sound. Convicts were also incarcerated in solitary confinement in totally blackened cells for long stretches of time. Many prisoners in the Separate Prison were driven mad from the lack of sound or light. So it was convenient that the mental asylum was situated right next door. Port Arthur is now a World Heritage-listed site with over 30 buildings situated in landscaped gardens and a forest. Take the time to see it properly because there is so much to see. You need time to experience the pleasure of looking at the natural beauty and the imposing structures built by convicts. There are faithfully restored buildings, some with period furnishings – such as the commandant’s residence, the doctor’s residence, the penitentiary and the church. Walking through these re-created homes lends an intimacy to the experience of history as you envision not only how the inmates lived, but also the lives of the officers, their wives and children. In a novel approach to the site, when you arrive at Port Arthur you are allotted a card with the name of a real convict. You are then able to follow the story and the fate of that inmate in an excellent interactive exhibition. This connection personalises the lives of individuals who suffered and lived there and who might otherwise be forgotten. Port Arthur was closed in 1877 and for over a century its tragic history faded behind the beauty and peace of its surroundings. But exactly 20 years ago, once again the tranquility of this idyllic place was shattered by brutality and tragedy. Port Arthur was the scene of a massacre in which 35 people, visitors and staff, were killed and 23 wounded. Tasmanian, Martin Bryant, was found guilty and given 35 life sentences without parole. The massacre prompted the Australian Government to subsequently introduce strict gun control laws.